These are only few of the many unforgettable characteristics that Philip Francis Lutzenkirchen left behind for us to remember him by when he passed away on June 29, 2014 as a passenger in a drunk driving incident. Not only was Philip widely known for his outstanding football career at Auburn University, but his impact and achievements go way beyond the football field. He was a loving brother, son, friend and devout follower of Christ. He impacted his communities in many ways through service, leadership, mentorship and genuine passion. The PFL (Prepared For Life) Scholarship was established in Philip’s memory, and is awarded annually to students who have demonstrated outstanding character in the areas of service and leadership, while portraying these characteristics through positively influencing safe driving to their peers and communities. The program aims to equip outstanding young people with the tools or lessons he or she needs to leave a lasting and profound legacy through mentor development, education and scholarship. 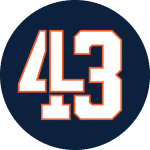 In order to become eligible, students who have signed the 43 Key Seconds Safe Driving Pledge will be asked to submit a 250-750 word essay expressing the impact the Lutzie 43 Foundation has had on them and how they have demonstrated safe driving habits throughout their own lives and in the lives of their peers. Additionally, the application requires a peer recommendation submission that speaks to the applicant’s driving habits, as well as a recommendation essay completed by a mentor. If chosen, the student will receive a $4,300 award, paid directly to his or her enrolling institution. The PFL Scholarship Program helped Abigail discover her personal purpose and determination to be authentic with everyone that she encounters. This personal change is what the PFL Scholarship and the Lutzie 43 Foundation are all about. We are here to help young people, like Abigail, have the courage to make good decisions on the road and in life. Scholarship applications for this year are open through April 15th. If you or someone you know is interested in applying, visit our scholarship page to learn more!